These rugged and reliable Standard Duty Industrial Air Compressors are ideally suited for the light industrial, commercial or professional user. Designed for easy installation, all models with two stage pumps are pre-wired with magnetic starters. Single stage models require no starter. These rugged and reliable compressors are ideally suited for the light industrial, commercial or professional user. Designed for easy installation, all models with two stage pumps are pre-wired with magnetic starters. Single stage models require no starter. 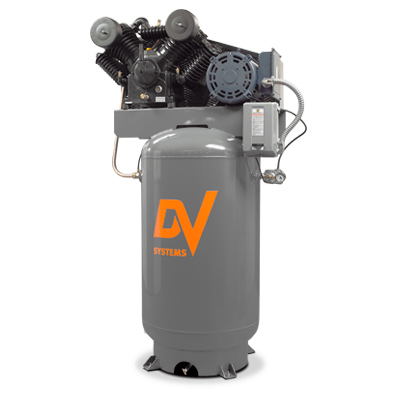 Equipped with the slow turning DEV 100 pump this is a very quiet air compressor. 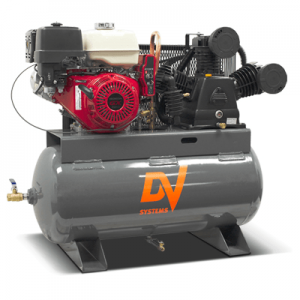 These rugged and reliable Standard Duty Industrial Air Compressors are ideally suited for the light industrial, commercial or professional user. Designed for easy installation, all models with two stage pumps are pre-wired with magnetic starters. Single stage models require no starter.